Last year my friend, Kathy York, had a brilliant idea to organize a project to create an artist village with three dimensional stitched houses. 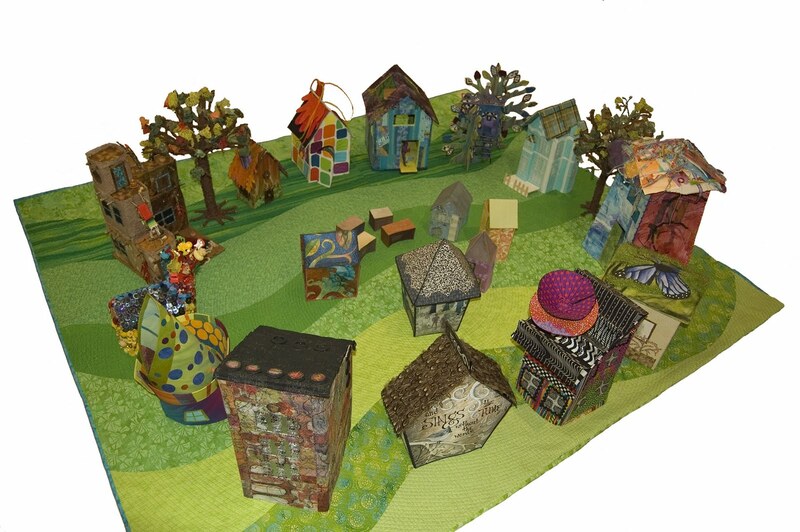 She was inspired by the houses I made several years ago, that were published in Cloth Paper Scissors. This is totally kool and amazing. I love it! Makes you proud that someone could be so inspired by an article by you and look what she came up with. Great! oh, I love this!! can't wait to see all the houses! What a wonderful idea!! I look forward to seeing the houses. The green quilt is perfect! This is so fun! An inspired idea! This looks like it was loads of fun. Thanks for sharing.